You can experience your Hempstead home in a completely new way with an aluminium bi-folding doors. Create a seamless connection between your home and garden. A stylish entrance to your back garden. Aluminium bi-fold doors can even improve the performance of your Hempstead home as they are fantastically energy efficient and secure. Essentially, they create a glass wall that will maximise the views you have, framing your outlook with a super slim profile. Read on to find out more about our aluminium bi-fold doors and how they can improve your experience of your home. Secure Style are proud to work with ALUK, providing high quality aluminium bi-folding doors in Hempstead. These quality sliding doors are designed to offer excellent and easy operation and superb functionality. ALUK aluminium bi-fold doors have a super slim profile, which is incredibly strong thanks to the high grade aluminium used in its construction. Our sliding doors offer unrivalled accessibility, as they come in a variety of low threshold options which can be enhanced by ramps, making them perfect for wheelchair users or any home where mobility difficulties are a consideration. Your aluminium sliding doors are designed to open to within just a few inches, maximising the space you have available. You can choose from a variety of fold configurations, adapting the concertina motion to suit your home. One of the most appealing benefits of aluminium is that it can be coated in a number of colours to create the perfect finish. Our bi-folding doors are available in a variety of options. You can choose to have the standard KL Colour Range or the standard white. We also offer the additional RAL range of colours. The RAL colours are available in over 250 shades, enabling you to find your perfect match and not only that, they can provide dual colour finishes. You could have one colour on the outside of the profile to complement and blend in with your property and surroundings, then a different interior colour to suit your décor. With so many colour options available, you are sure to find the absolute perfect match for your Hempstead property. Choose to blend your aluminium bi-fold doors in with your Hempstead home, or make them a colourful and eye-catching feature! Aluminium is superb for an environmentally conscious homeowner. It is fully recyclable, and no matter how many times it is repurposed, it never loses its strength or appearance. This makes aluminium incredibly eco-friendly, as it lasts for hundreds of reapplications. Aluminium bi-fold doors are also superbly energy efficient. This means that less heat escapes from your home into the environment and less energy is used to keep your home warm and cosy. You could even find that the EPC rating of your property is improved. Not only is energy efficiency great for the environment, but it also makes your aluminium bi-fold doors a cost effective home improvement. Using less heating will result in lower energy bills, saving you money. With any door in your Hempstead property, you want high-security performance for your peace of mind. Our aluminium bi-folding doors incorporate a number of superb security features to ensure that your family and Hempstead home are thoroughly protected. Our aluminium sliding doors are fitted with high-security multipoint locking mechanisms which include two heavy duty locks, two locking cams and a dead bolt. They also have heavy duty shootbolts placed between each intermediate panel, securing the door in place. You can rely on the exceptional security of our aluminium bi-fold doors. 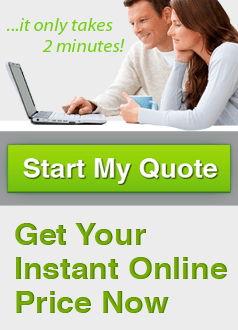 SecureStyle have countless satisfied customers in Hempstead and the surrounding areas. Our installations meet the highest standards and are supported by our fantastic prices and our commitment to customer service. Our highly trained installation teams are superbly motivated and committed to quality. They aim to make your double glazing installation as stress-free and easy as possible. They are focused on ensuring every last detail is perfect, so you can be sure that the aluminium bi-fold doors we install in your Hempstead home will be an exact fit with no draughts or leaks. We would really love to hear from you to discuss your Hempstead home improvements. We have an expert team just waiting to answer any queries you may have. 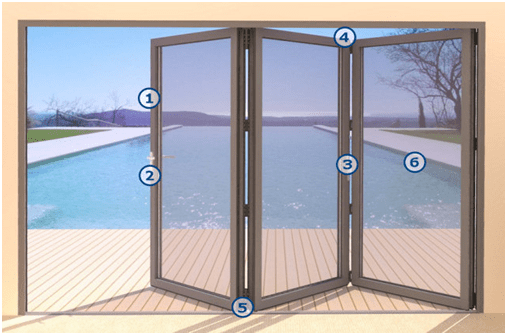 They will five you advice and guidance so that you can find the perfect aluminium bi-fold door. Our advisors can also provide you with an aluminium bi-folding door guide price, tailored for your Hempstead home.